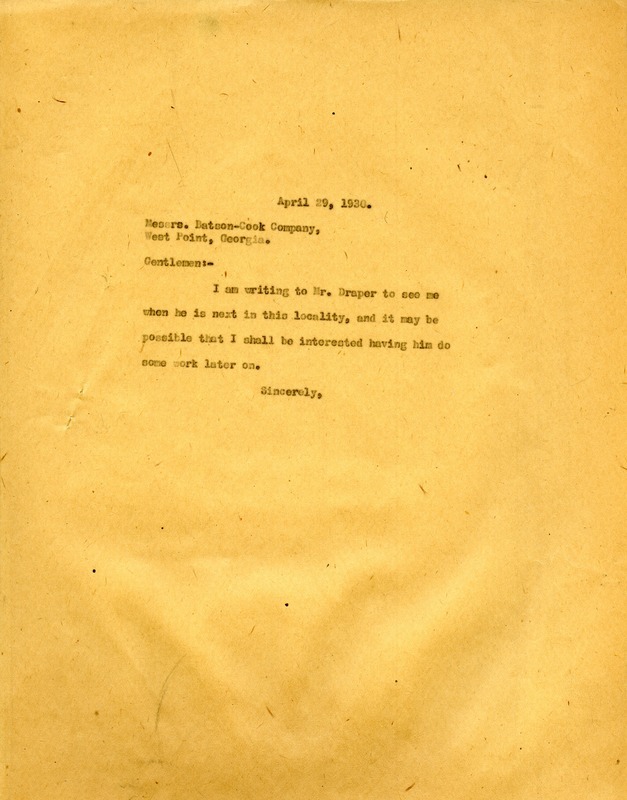 Martha Berry writes to the Batson-Cook Company, saying that she is writing to Mr. Draper to see her when he is in the locality because she is possibly interested in him doing work in the future. Martha Berry, “Letter to the Batson-Cook Company from Martha Berry.” Martha Berry Digital Archive. Eds. Schlitz, Stephanie A., Chelsea Risley, et al. Mount Berry: Berry College, 2013. accessed April 19, 2019, https://mbda.berry.edu/items/show/11761.